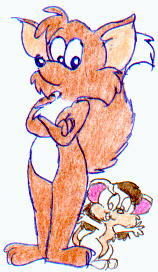 Lily and her friend, Tae, in a silly old fashioned "rescue girl from dragon" scene. Taepion Zerohour © Louie Meilke. 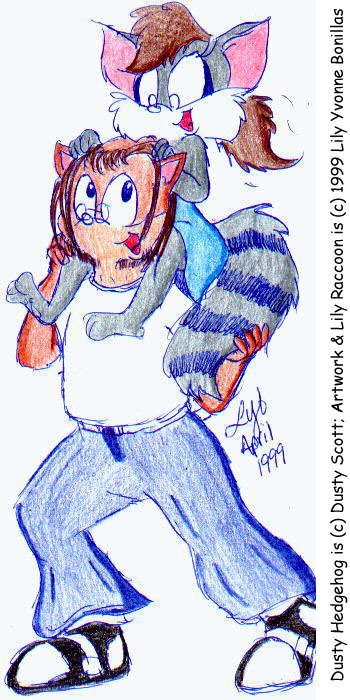 Artwork & Lily Raccoon © 1999 Lily Yvonne Bonillas. 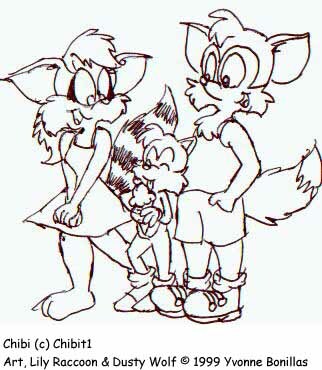 Lily and Dusty Wolf taking lil baby Chibi out on a stroll. Chibi © Chibit1. Artwork, Lily Raccoon, & Dusty Wolf © 1999 Lily Yvonne Bonillas. Lily and her old friend Dusty Hedgehog. He is helping her climb off a fence. 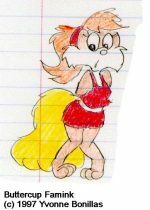 She is showing off her new clothes. 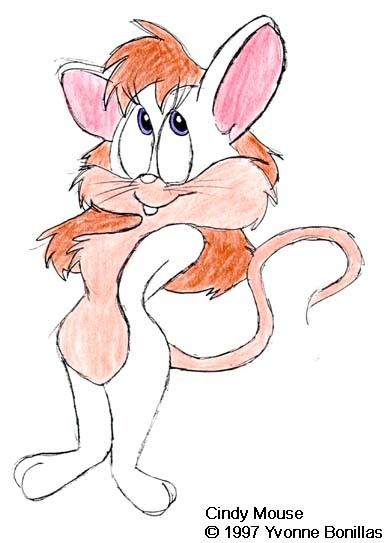 Dusty Hedgehog © Dusty Scott. 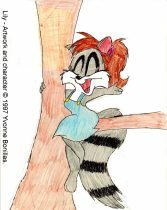 Artwork & Lily Raccoon © 1999 Lily Yvonne Bonillas. A really cute balcony scene with me and Tae. Taepion Zerohour © Louie Meilke. Artwork and Lily Raccoon © 1999 Lily Yvonne Bonillas. Lily and Taepion reading a book. Sorry the image is so small. Taepion Zerohour © Louie Meilke. 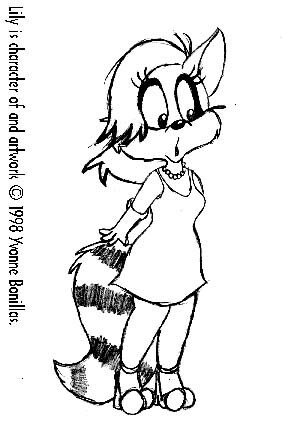 Artwork & Lily Raccoon © 1999 Lily Yvonne Bonillas. 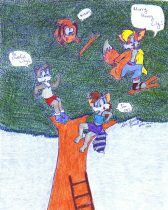 Lily and her friend Tae arguing next to a tree. He longs to be her "hero". 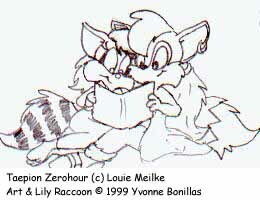 Taepion Zerohour © Louie Meilke Artwork & Lily Raccoon © 1999 Lily Yvonne Bonillas. 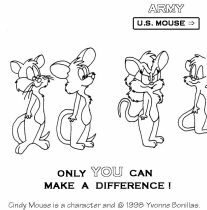 Cindy is stuck in the Army recruiting line. 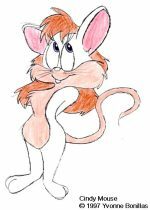 Note, there is a cat at the end of the line. 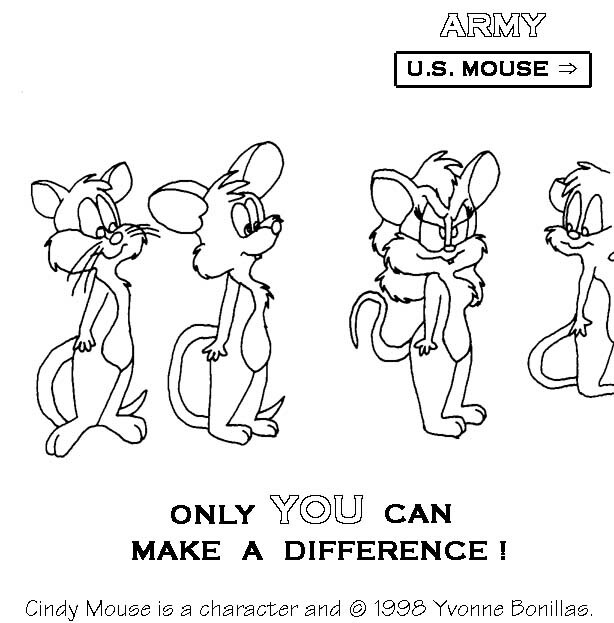 Cindy is a character of and © 1998 Yvonne Bonillas. 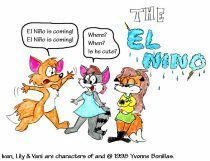 Ivan announces El Nino. Hey, I'm from Southern California, what do you expect. *hee hee* Ivan, Vani, and Lily are characters of and artwork copyright © 1998 Yvonne Bonillas. Lily & Vani. A series of comic strips about life in high school. 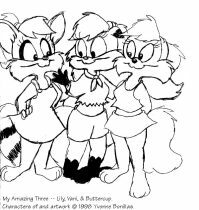 Stars Lily, a raccoon, and her best friend, Vani, a fox. 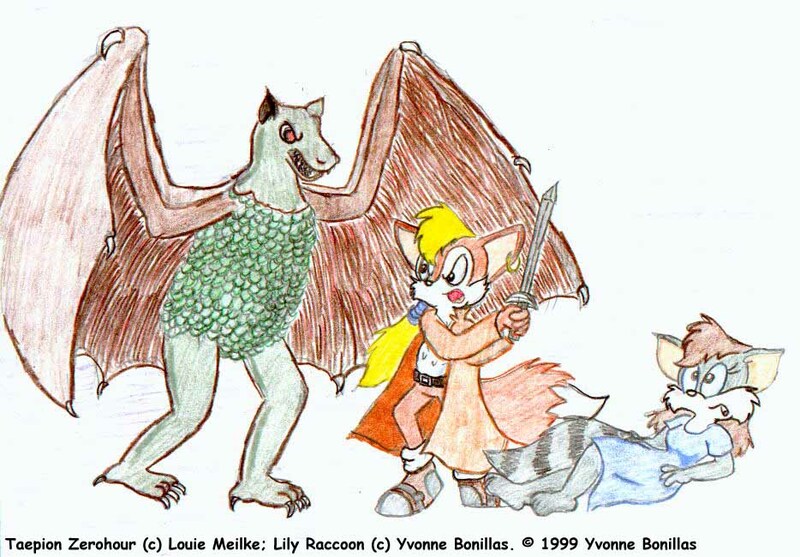 Lily and Vani © 1997 Yvonne Bonillas. 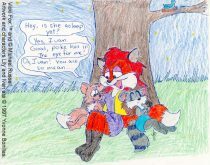 Part of my silly series on the different fictious ways that Lily and Vani first met. 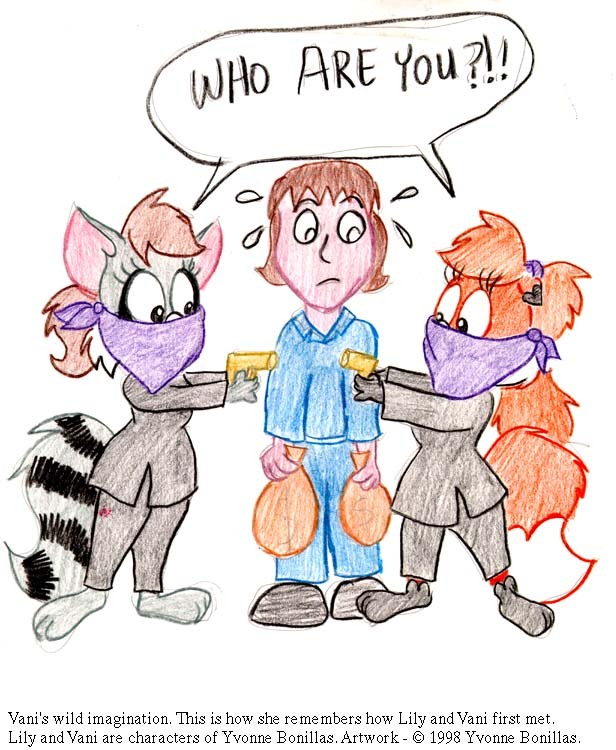 In this one, Lily and Vani are acting as robbers. They never got the money. 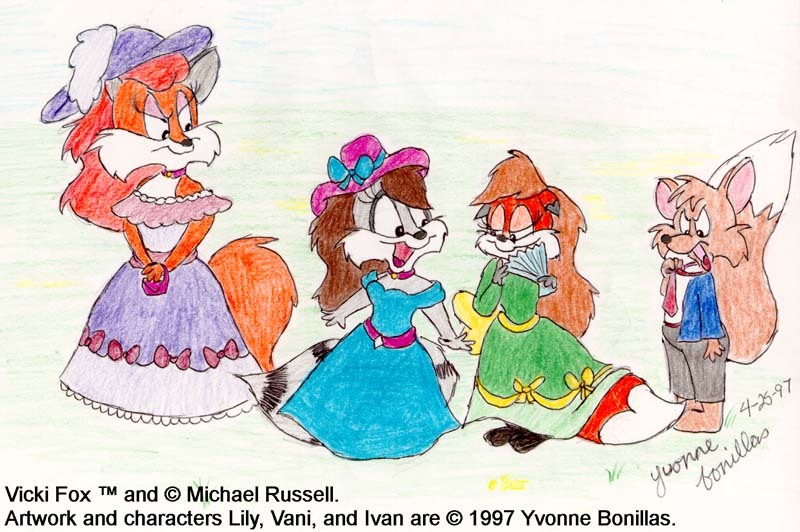 *hee hee* Lily and Vani are characters of Yvonne Bonillas. Artwork is copyright © 1998 Yvonne Bonillas. 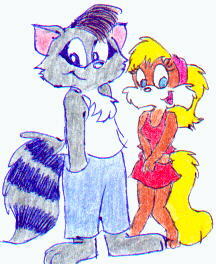 Introducing Jesse (the raccoon). I'm also trying a new set of markers. Not the best. 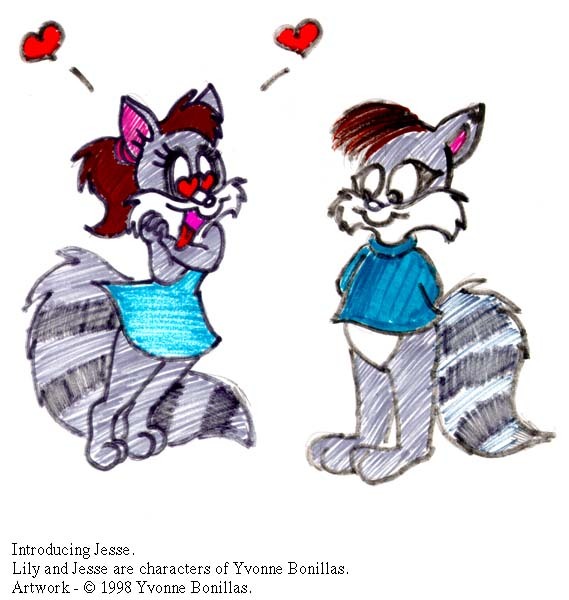 Lily and Jesse are characters of Yvonne Bonillas. 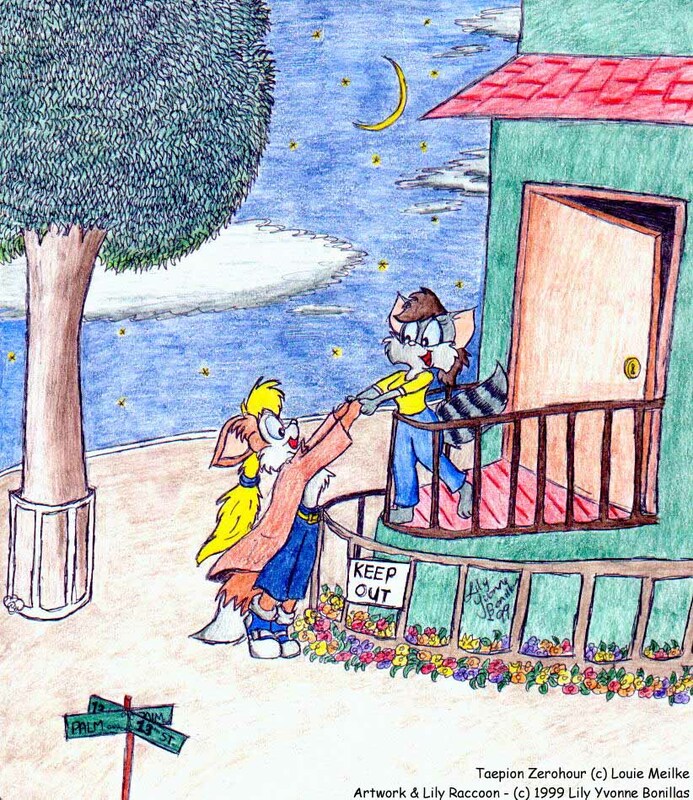 Artwork is copyright © 1998 Yvonne Bonillas. 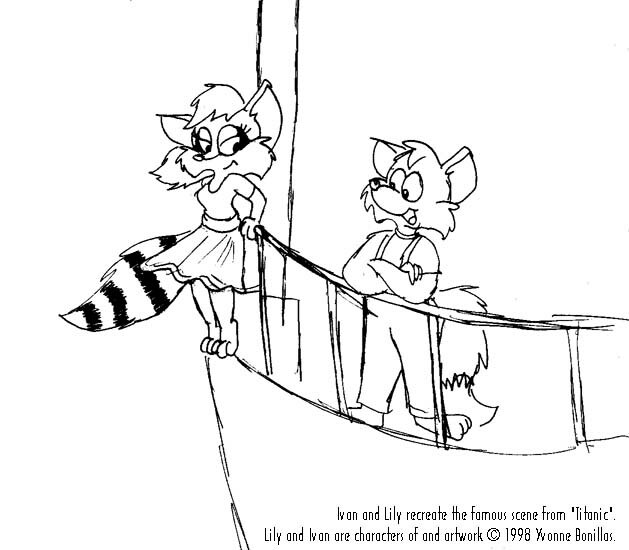 Lily and Ivan recreate a famous scene from that movie about a sinking boat. 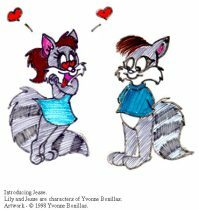 *hee hee* Lily and Ivan are characters of Yvonne Bonillas. 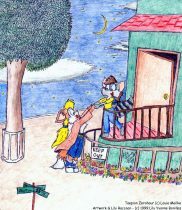 Artwork is copyright © 1998 Yvonne Bonillas. Lily in her fancy party dress. 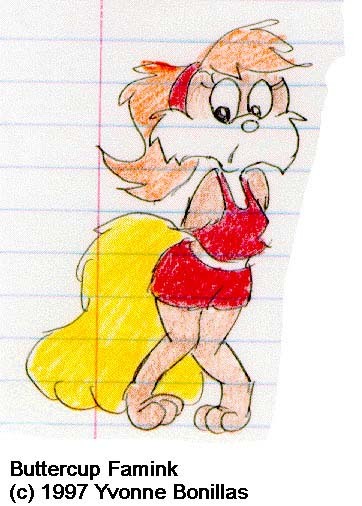 Lily is a character of and artwork copyright © 1998 Yvonne Bonillas. My "The Amazing Three". 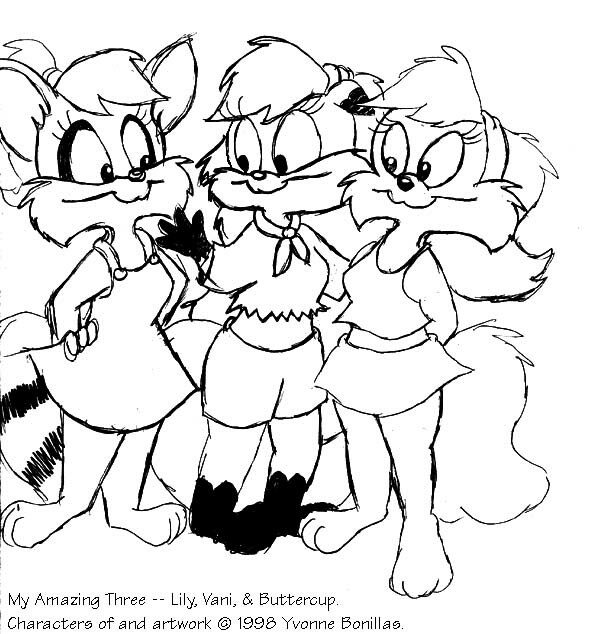 Lily, Vani, and Buttercup are characters of and artwork copyright © 1998 Yvonne Bonillas.